On Thursday November 7th, the Leechwell Garden was the scene of an awards presentation. 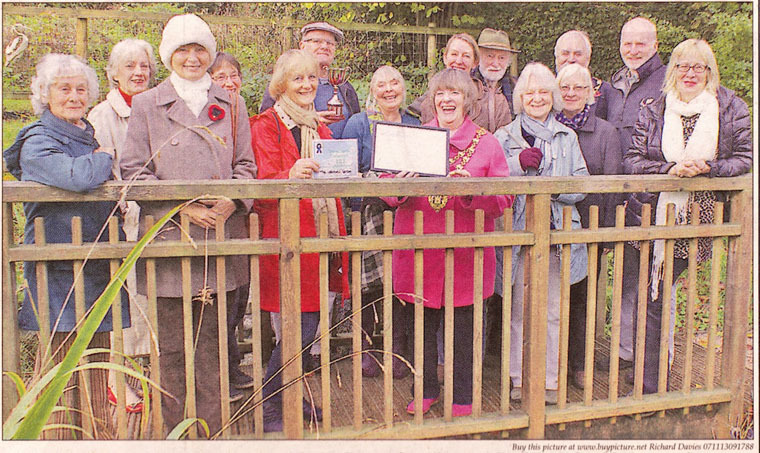 The Royal Horticultural Society awarded it "Thriving Status" (just one step down from "Outstanding") and Totnes Gardens awarded the garden its Community Garden cup. As you can see from the picture below, the presentation was attended by quite a few of the LGA committee members and volunteers, as well as the Mayor of Totnes, Pruw Boswell, her consort Councillor Lionel Harper and Councillor Tony Whitty.